If you are a member of the media in need of information about high-risk pregnancies or the Society, please contact Kerri Wade via email at kwade@smfm.org or phone at + 1 (202) 517-6121. 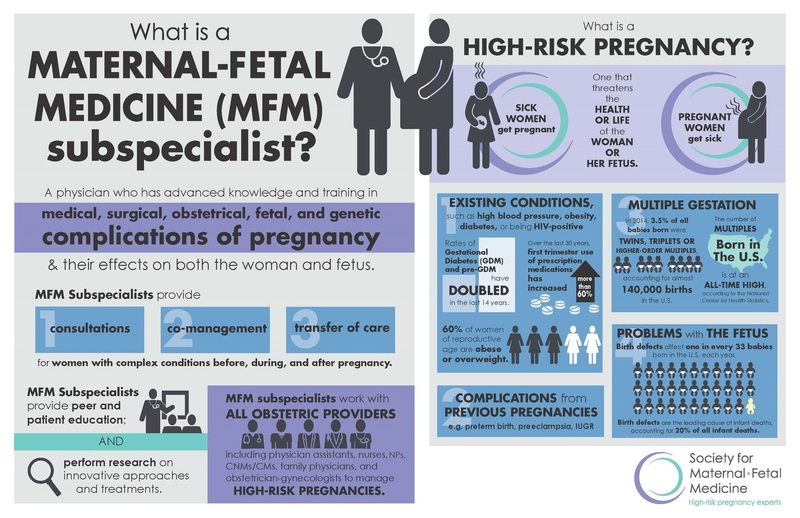 SMFM staff can direct you to physicians who are expert sources in a wide variety of pregnancy-related issues. The press office is open Monday-Friday 9:00 AM to 4:00 PM ET. February 11, 2019: How to Classify High Blood Pressure in Pregnancy? New Research Shines a Light on Conflicting Criteria. View select press releases and public statements from 2017 and 2018. Contemporary OB/GYN (March 28): Is Universal HCV Screening in Pregnant Women Cost-Effective? US News and World Report (March 22): Is There a Safer Choice Than Opioids After a C-Section? Health (March 15): Should All Pregnant Women Get Tested for Hepatitis C? Essential Baby (March 8): Is 50 the New 40 When it Comes to Having Babies? MedPage Today (February 18): Dental Support Devices During Labor: All Bark, No Bite? MedPage Today (February 16): Pain After C-Section: Are Opioids Really Necessary? View select news coverage from 2017 and 2018.